Brighten Your Day! 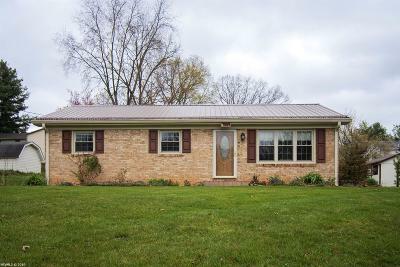 This perfectly located 3 bed 1 bath ranch home in Dublin. The sunroom is a great place to relax your cares away. Also featuring Casual living room and kitchen with hard wood floors all through out. on top of all is a very nice back yard back porch and storage building. Pre approved buyers only. Directions: Head Northeast On Us-11 N/Broad St Toward Linkous Ave. Turn Left Onto State Rte 617.